In the second part of our focus on our shortlisted Which? Trusted Traders, we look at Justin Bucknell Electrical Ltd and Proclene Ltd. The Which? Trader of the Year award will be awarded at a ceremony in London on 17 May, alongside the other Which? awards. Our winner will share the stage with some giants of the corporate world, as large and small businesses vie for recognition of their commitment to customer service. Last week, we reviewed Finesse Windows Ltd and Homeglaze Home Improvements Ltd, two double-glazing specialists. This time it’s the turn of an electrical contractor and a cleaning specialist. Justin Bucknell Electrical Ltd is a rapidly growing electrical contractor based in Bicester, Oxfordshire. Justin started his own business after finishing his apprenticeship and he has been trading in the electrical industry for over eleven years. Justin heads a team of six, who focus on residential and domestic work throughout Oxfordshire and Buckinghamshire, alongside their long-term commercial and industrial clients in the area. Starting a business at a young age meant a sharp learning curve for Justin, but he’s happy to have the processes in place to ensure that the customer experience is a cut above, from first contact with the business, all the way to the end of the job and beyond. Justin Bucknell Electrical joined Which? Trusted Traders at the start of 2016. ‘Which? is such a trusted brand that association with it gives your customers peace of mind,' said Justin. The business was already successful with plenty of work on its books, but having the accreditation really set it apart from the rest and helped build its reputation. The business has a large volume of positive reviews on its profile page and the team takes the time to respond to many of them. As Justin said: ‘The job isn’t over when the customer has paid their bill you still have to give them great customer service. More about Justin Bucknell Electrical. 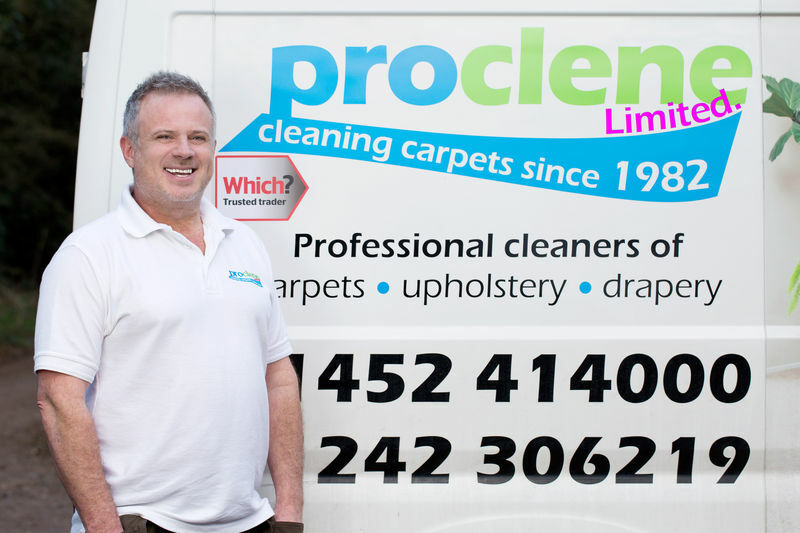 Proclene Ltd is an environmentally friendly upholstery and carpet-cleaning service based in Gloucester. Proclene operate across Gloucestershire and the south-west of England. Owned by Craig Haycock, it’s been trading as a limited company since 2012. 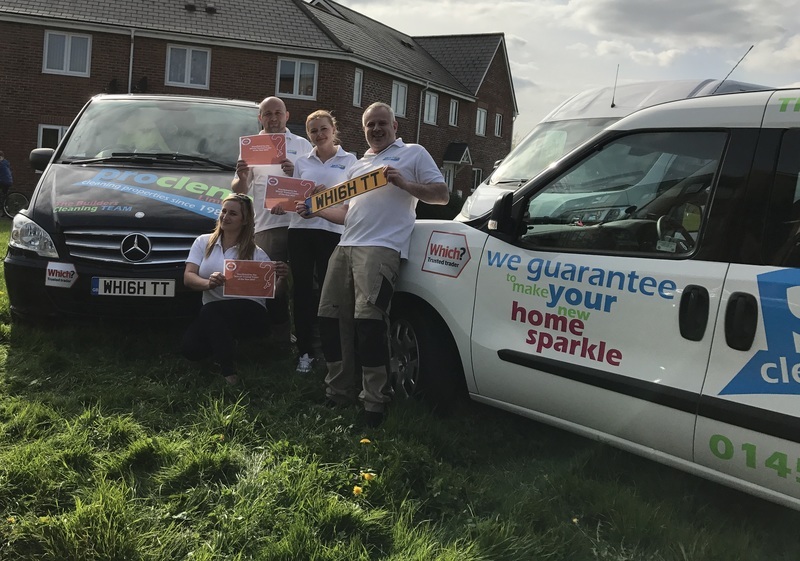 Craig has been working in the carpet and upholstery cleaning business most of his life – starting when he was just 12 years old, helping with his dad’s carpet-cleaning business. Craig and his team of technicians pride themselves on offering a professional service, with the emphasis on providing quality workmanship and customer care, rather than on low budget prices. Proclene Ltd has achieved the quality management - ISO 9001 certification. Craig attributes Proclene’s success to its staff. ‘We are very lucky to have them – Proclene would be nothing without them,’ he said. The Proclene Ltd team is definitely a family affair. The staff of eight includes Craig’s fiancée, her sister and her sister’s fiancé, although none of Craig’s five children are working for him – yet. Proclene Ltd joined Which? Trusted Traders two years ago. Craig says: ‘I jumped at the chance to become a Which? Trusted trader – it’s a great way to recognise traders of the right calibre who prove they do a good job and provide excellent customer service.’ It has received some excellent consumer feedback. This level of engagement was part of the reason behind Proclene Ltd’s Which? Trusted trader of the month win in November 2016. At that time Craig said: ‘Our goal for 2017 is to win Which? Trusted trader of the year’. He was thrilled that Proclene Ltd was shortlisted, describing it as ‘fantastic’. Make sure you don’t miss our profile of the other two shortlisted Which? Trusted traders, Finesse Windows Ltd and Homeglaze Home Improvements Ltd.